Assuming you’ve arrived on an early flight, and want to make the most of your short time in the city, get on out and get straight into it – a great place to start in the early morning is at the Mina Port Fish Market and Dhow Harbour. It’s a great place to get an idea of the roots of the city and the humble way of life of the fisherman. Check out the sights and sounds of the fish market (you’ll want to wear closed shoes) and even chat to the guys in red working away on the far side, gutting and boning the catch. On the way out don’t forget to take a wander around the enormous lobster pots and rows of working dhows in harbour. If you’re not staying at a hotel with beach access, you don’t have to miss out on the chance for a dip. Head along the Corniche Road to the Corniche Beach where entry to the public beach will only set you back Dhs10. From there (if the weather’s not too hot), take a look back at the city skyline while enjoying a stroll along the Marina Breakwater to the Heritage Village to learn about what Abu Dhabi was like before the Emirate discovered oil in this reconstruction of a traditional village. High end: Not far from the Heritage Village is the renowned Emirates Palace Hotel (dress code applies – no shorts, men must wear closed shoes, nothing to revealing for women). If this is your first time in the city it’s worth taking a look round the opulent 24 karat gold interior and perhaps even stopping for a drink or lunch at one of the many restaurants, if budget permits. Budget: if you’re on a tight budget, closest to the Heritage Village is the Marina Mall where you’ll find a host of eateries, though nothing especially inspiring or different to most other worldwide malls. A better option is to take a stroll back along the Corniche or into the side streets of Khalidiya to find a café or Lebanese restaurant for a more authentic local experience. Visit Abu Dhabi’s oldest building from 1760, Qasr Al Hosn to check out the original royal residence of the country and the seat of the Government until 1966 where a permanent exhibition open daily, tells the story of Abu Dhabi. Note: if you’re visiting in February be sure to check out the dates and timings for the Qasr Al Hosn Festival when the whole site opens to the public with workshops, exhibitions, fort and National Council tours, demonstrations and more, all dedicated to the culture and heritage of the Emirates. 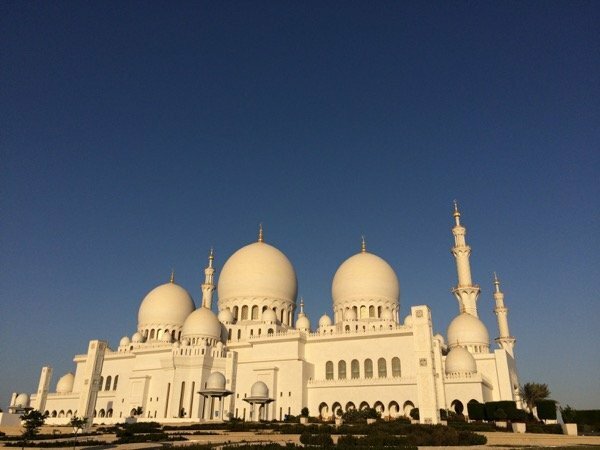 Next, one of the most recognised landmarks of the city, you can’t visit Abu Dhabi even for one day and not visit the Sheikh Zayed Grand Mosque. As long as you are in a group of less than eight people you can walk in and wander around the mosque on your own. Excellent, free tours with a live guide are also available every day of the week (even during Ramadan with the exception of Fridays), check the website for the latest visitor and tour timings. 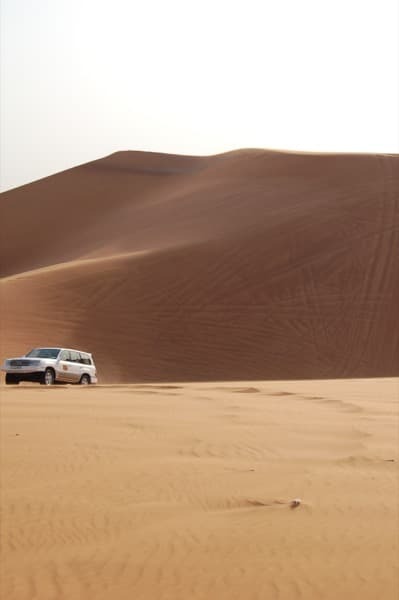 Finally, if time permits, get out of the city with a desert safari in the late afternoon for a bit of an adrenaline rush. Marvel at the sandy landscape of the immense dunes and enjoy the bedouin camp atmosphere for dinner and the evening before heading back to your hotel and catching your onward flight. Desert safari timings are usually between 3.30pm to 9.30pm (depending on the time of year and heat, though there are also early morning options for those who don’t have enough time at night). Your hotel will be able to recommend a reliable desert safari company. Final note on getting around: taxis are cheap, safe and plentiful in Abu Dhabi, though most of the main sights of the city are on the Big Bus Tour route so it might be worth weighing up whether the hop on hop off bus could work out cheaper for you. Bear in mind though, the first bus isn’t until 9am and the last bus is at 5pm so this might not work if you’re short on time and keen to fit in as much as possible. 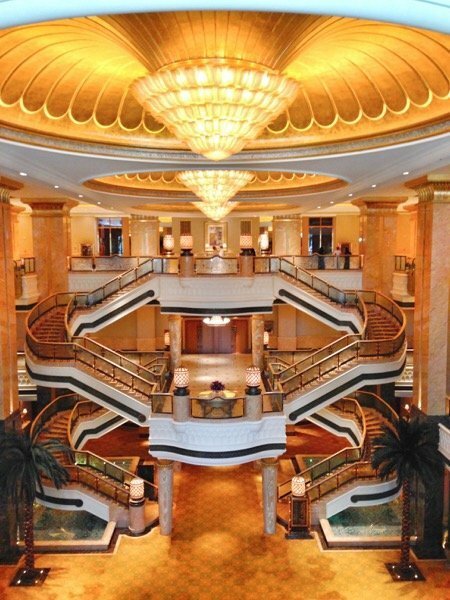 I had been to Abu Dhabi but never been to Emirates Palace. Wish to visit Abu Dhabi again!